Energy Drinks, Even Without Alcohol, May Pose Risks For Youngsters : Shots - Health News A paper in a leading pediactrics journal argues that because energy drinks have no health benefits and some risks, they ought to be consumed sparingly by kids and scrutinized a little more carefully by everyone else. In a conclusion that sounds downright Rumsfeldian, researchers at the University of Miami write in the medical journal Pediatrics that "the known and unknown pharmacology" of ingredients in energy drinks are a cause for concern about potential side effects. Anywhere from about a third to half of teens and young adults drink the beverages, boosted with such things as caffeine, guarana, taurine and L-carnitine, the paper says. And, citing previous work, the researchers say a single can or bottle of the stuff may be enough to put a youngster, already consuming some caffeine over the daily limit for side effects. Teens and younger kids shouldn't consume more than about 100 milligrams of caffeine in a day. That's about two cans of Mountain Dew or 1 1/2 cans of Red Bull. Kids with certain heart conditions or ADHD may be particularly sensitive to the drinks effects. So the paper, a compendium of published scientific papers and publicly availble info, argues that because the drinks have no "therapeutic benefit" and some risks, they ought to be consumed sparingly by kids and scrutinized a little more carefully by everyone else. Makers of the drinks objected to the characterization of their products. "This literature review does nothing more than perpetuate misinformation about energy drinks, their ingredients and the regulatory process," said a statement from the American Beverage Association's Dr. Maureen Storey. Pediatricians, the paper says, should make themselves aware of patients' use of energy drinks and be diligent in asking athletes and children sensitive to caffeine about their consumption. "We would discourage the routine use" by children and teens, Dr. Steven Lipshultz, head of pediatrics at the University of Miami's medical school, told the Associated Press. Unless research established energy-drink safety in children and adolescents, regulation, as with tobacco, alcohol and prescription medications is prudent. Already, drinks that contain alcohol and stimulants, such as FourLoko, have come under fire for causing health problems. The scrutiny and increased regulation have led to changes in their formulas and availability. Update: We talked with Lipshultz Monday afternoon. He told Shots he hopes the paper is seen as "a call for data, communication and education." 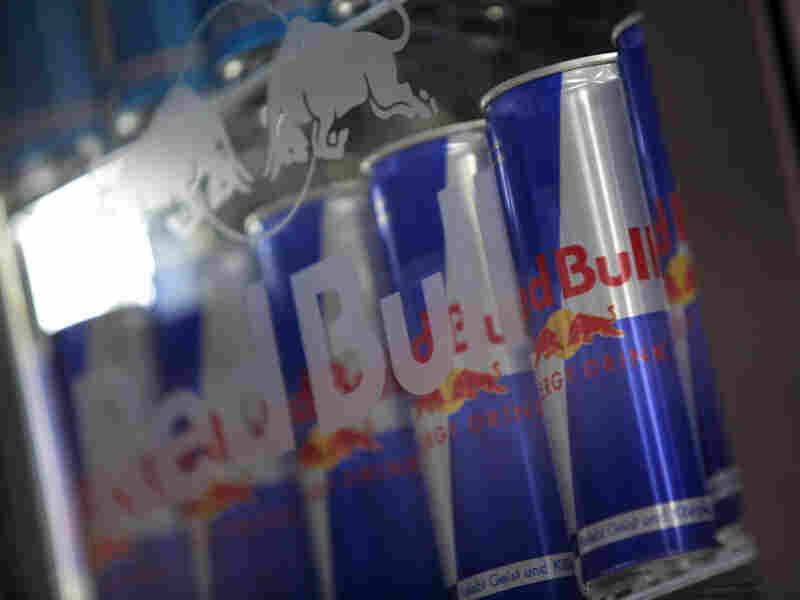 As a pediatric cardiologist, Lipshultz says his concern about energy drinks grew as he learned many of his patients, already at risk for heart trouble, often drank the beverages without realizing how they could affect their health.